Since the creation of Uber in 2009, the number of people who partake and use this ride-sharing app has increased dramatically. Over the past few years, the percentage of people using these types of apps has increased from 15% to 36% since 2015. As the number of users continues to grow, so do the problems within the app. When users request a ride on Uber, they are given the driver’s first name and last initial. However, when the driver or rider cancels the ride for any given reason, any information regarding the driver’s identity is erased. Normally, this would be of no concern, as many riders don’t really care about their driver’s identity so long as the driver is able to safely get the rider from point A to B. But this does become a problem when the rider wants to report or make a complaint about a certain driver after a cancellation. Once a cancellation takes place all information on both ends, the driver’s side and rider’s side is erased. The desire to report certain drivers has dramatically increased as drivers have started to partake in some questionable behavior making many riders upset. Many describe it as a new “scheme” driver are partaking in. The “scheme” involves various methods, the first is where the Uber driver will ask the rider where they are going once they get in the car, if the destination of the drive is too far away, the driver will force the rider out of the car requiring the rider to cancel. The rider becomes upset due to the fact they are now left with no ride and a $5.00 cancellation charge. The second method involves drivers circling around and taking an exceptionally long period of time to get to the rider’s pick-up location. The rider ultimately becomes annoyed and cancels the ride. This “scheming” behavior is quite aggravating for the rider because many riders are unaware that this “cancellation charge” exists and that if the driver been the one to cancel, the rider would not be penalized. Another tactic is where drivers will cancel a ride while the rider is physically in the car on the way to their destination. This type of conduct is in response to the fare apportionment that exists between drivers and Uber. Every driver is required to give a certain percentage of the fare to Uber, and the rest they keep to themselves. If a driver does not complete the ride on Uber’s app, but cancels the ride on the app and then makes the rider agree to continue the ride, but on a cash basis, the driver will never have to report or divvy up the share to Uber. The motive lies within a driver’s desire to collect as much money as possible without giving much away to Uber. If a driver is able to get the passenger to cancel the ride, the Uber driver is not inconvenienced by having to take the rider somewhere and also makes a $5 profit without doing anything. Additionally, if the Uber driver is able to pull one of these stunts, the rider will not have access to the driver’s information to report them. Not only is this unfair, but potentially very dangerous. Many drivers are able to get away with this type of conduct, as their punishment for too many cancellations is a slap on the wrist with a warning of possible suspension from the app. It is clear there is a desire for privacy between rider and driver, but if a driver is able to succeed in these various “schemes” without being identified by the rider, there is an even bigger likelihood it will continue to occur and cause even greater concerns. The fact that all information pertaining to that ride is erased on both ends, makes it very difficult for someone to complain. Uber generally will credit the rider if they are to complain about an unfair cancellation fee, however, this does not solve the problem. As a rider, one should have the right to certain information if a ride goes terribly wrong. 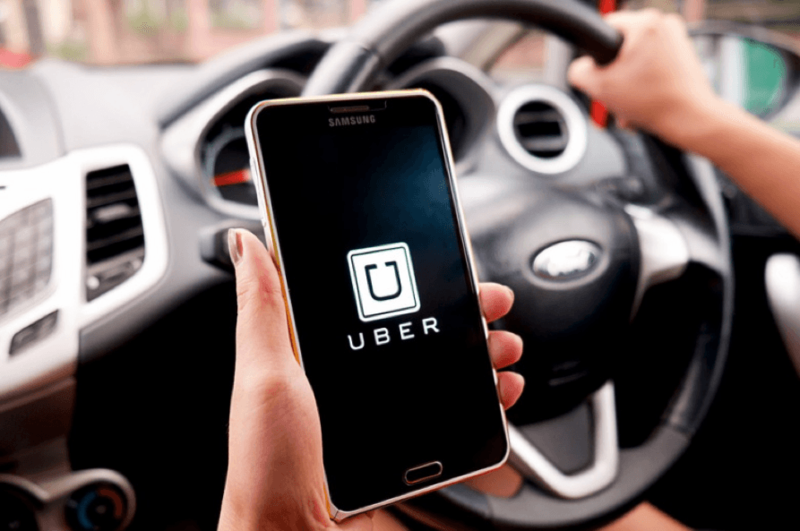 To make a rider wait and go through Uber’s complaint process if something detrimental occurs instead of allowing them to take matters into their own hands, is potentially very problematic. This situation draws on the conflict of privacy rights as well as a rider’s right to know who is driving them places. With the heavy demand for ride-sharing apps, especially in large cities, significant measures should be implemented to curtail this growing “scheme” and keep ridesharing as safe and as fair as possible. It is clear new regulations need to put in place to continue to protect the driver’s identities, while also allowing riders the ability to complain about suspicious and concerning behavior from their driver. Student Bio: Carly is a second-year student at Suffolk University Law School and staff member on the Journal of High Technology Law. Carly has a Bachelor of Arts in English and Political Science from Virginia Tech.